Today I ran into an interesting one. As part of an update to one of our custom SharePoint apps, I needed to configure the User Profile Service to import a couple of custom attributes from AD. The first property I added was for the Employee ID Number, and I was able to easily find the employeeID attribute and get the property setup successfully. The next one I needed to add was Department Number, but unfortunately the departmentNumber attribute was nowhere to be found in the list of available options. After confirming with our AD Administrator that departmentNumber was indeed the right name, I then began to do some research and came across this excellent article which contains a Powershell script to map the missing attributes. The first thing you’ll want to do is go ahead and create your new property within the User Profile Service, and just choose any of the available attributes. In my example here we’ll be modifying a new property I created named DepartmentID. Next, create a new file on your server named mapattributes.ps1, and paste the following into it. Update $url, $spsProperty, $fimProperty, and $connectionName to match your environment. Note that for $spsProperty you need to include the actual name of the property;not the display name. $url = http://webserver:0924 #URL of your Central Admin site. Now go back into your User Property mappings, and you’ll see that it is now mapped to the correct attribute. Finally, run a full user profile import and your property should now be correctly synchronized. Just in time for the summer, Service Pack 1 for SharePoint 2010 is now available. Note that on 2010 now the updates are all-inclusive, so you only need to install the update for your particular product line. The guidance from the SharePoint product team has changed recently, and they now recommend that you install BOTH the SharePoint Foundation Updates and the SharePoint Server updates. This is the same process that was previously followed on MOSS 2007. Remember to always test updates in a staging environment first before even thinking of applying them to production. After figuring out that incoming email needs to be set back up again on libraries/lists after upgrading, I figured I was done messing with this feature on 2010. Unfortunately that wasn’t the case. We have a few teams that like to post their blog entries via email rather than using a client such as Windows Live Writer or Word. What I found is that since moving to 2010, blog entries posted by email are no longer displaying the included images. This has been confirmed as a bug but unfortunately still hasn’t been addressed even though it was first reported over a year ago. The easy work around for this is to use Live Writer or Word, both of which I’ve confirmed will post the blog images just fine on SharePoint 2010. I recently completed an upgrade of our intranet farm to SharePoint 2010 and everything went smoothly except for a lingering issue with incoming e-mail. Basically, it stops working. Through troubleshooting I found that new incoming e-mail connections that I setup would work just fine, but the old ones wouldn’t. This told me that there was nothing wrong with my SMTP or Exchange Connectors settings. Through trial and error I figured out that in order to fix the issue I simply had to go to the libraries and disable/enable incoming e-mail. To do that, go to your Doc Library and select Settings—>Document Library Settings. From there, opening up the Incoming e-mail settings, and flip the setting for “Allow this document library to receive e-mail” to No. Copy the e-mail address that in the box below that to your clipboard so that you can re-configure it. Click OK to save the changes. Now go back into your incoming e-mail settings. You can probably figure out what we’re going to do next. Set the option back to Yes, and paste your e-mail address back in. Click OK again to save the changes. Your incoming e-mail should now be working and once again be delivered to your library. Any undelivered messages to this library that were previously stuck in the /Drop box on your web servers should also be delivered. This will give you an output that contains the site, library/list name, and the email alias for each object you have configured for incoming email. You will need to run this query on each of your content databases. IIS 6 had a great feature called ‘Save Configuration to a File’ which would allow you to easily export a website’s configuration, to be later used to import either on the same server or another box. This came in handy anytime you wanted to duplicate a site in order to do some testing without impacting the existing application. 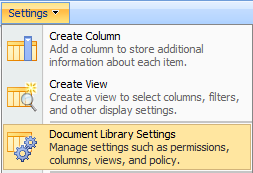 So naturally, Microsoft decided to do away with this feature in IIS 7. If you’ll be setting up another copy of the site on the same server, you’ll now need to edit the output.xml file before importing it. This is necessary in order to avoid conflicts such as bindings, Site ID, etc. To do this, edit the XML and change the values. Go ahead and make a copy of the home directory, and rename it to whatever folder name you specified in the output – /EAC2 in this example. If you decide to change the app pool, make sure you go ahead and create the new app pool as well. That’s it. You should now see your site listed when opening up Inet Manager. If for some reason the site fails to start, that’s probably because you forgot to create the new app pool or there is a problem with one of the other parameters you changed. Look at the System log to identify any issues like this. Request 2 NIC’s per server in your cluster. Configure each NIC with static IP’s, but leave the default gateway blank for the NIC running NLB. Rename this adapter to NLB. Open a command prompt with administrative privileges and run the command netsh interface ipv4 set interface “NLB” forwarding=enabled. 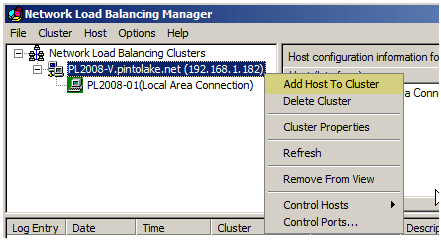 This step is required on 2008 server due to IP forwarding now being disabled by default. You can read more about this issue on the Microsoft Networking Team Blog. 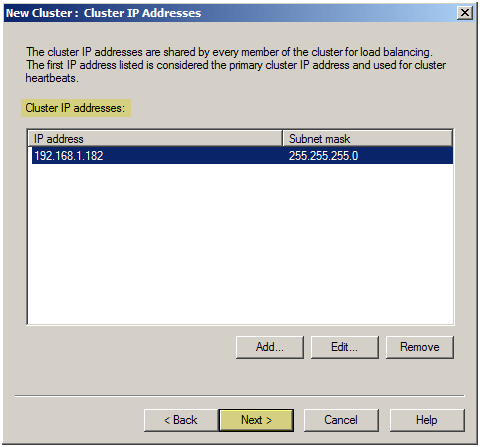 Click Add and configure the Cluster IP Address. You can also add any websites IP’s in this area. Click Next when done. 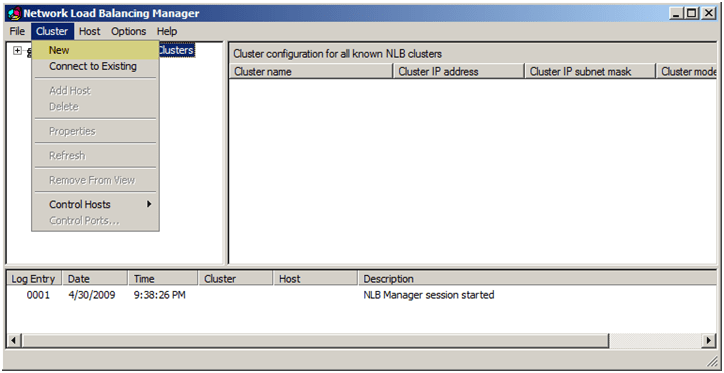 Type in a name to identify the cluster. This is for reference only. Click Next. Type in the server name for the 2nd node, click connect and select the network adapter named NLB. Click Next. Leave the defaults at the Host Parameters screen and click Next. Again, accept the default Port Rules and click Next. Ever since the days of Windows 2000’s debut, one of the more popular ways of synchronizing content and IIS configurations between servers was to use Microsoft Application Center. Though that tool still works on 2003 Server (mostly), I’ve been trying to phase it out of our environment since it is an end of life product that is no longer supported by Microsoft. I went looking for a quick and cheap (free) way to replace this functionality, and was happy to find out that MSDeploy can fill this void. I’ve documented in previous posts the process of using MSDeploy to synchronize between IIS 7 servers, and luckily the process isn’t much different when you need to do it on IIS 6 boxes. Create your website on the source server. Run the install on each server that you want to synchronize, choosing Complete to install all components . Create a folder within there for each website that you want to synchronize. Open notepad and create a batch file using the info below as a template. Edit the values to match your website and server names. Replace DESTINATION_SERVER_NAME with the name of your destination server. You’ll also need to modify the metakey value to match the website that you’re trying to move. The default website will always be #1, but subsequent websites will be assigned a random number. You can find the metakey identifier for your website by opening Inet Manager on your source server and clicking on the Websites Folder. Run the batch file. Once it is done, open up the msdeploySync.log file and check for any errors. If everything is good and there were no issues then the site should now show up on the destination server. You should run the sync script anytime you make content or configuration changes to the website on the source server, that way everything will always match up. You could also easily schedule the synchronizations using Task Scheduler.